Kyle Mills: Do You Know Your Mitch Rapp Trivia? In celebration of Red War’s release, I decided to round up some Rapp trivia to see how well you know Mitch’s world. Even I, the keeper of the Rapp torch, can’t always remember every last detail in these books. Fortunately I know someone who can. I reached out to Ryan the Rappologist over at The Real Book Spy for some help in stumping even the most die-hard of fans. We’ll kick this off with an easy one. What is Mitch’s preferred method of killing someone? Answer: Rapp drinks coffee more than any other beverage throughout the series. He's actually seen drinking coffee 26 times and other characters partake even more than our hero. Consent to Kill is the most caffeine-fueled book in the series. I’m not a coffee drinker so fans may have noticed that I’ve given Rapp only one cup thus far. When I’m writing a scene, it rarely occurs to me to have a character drink the stuff. Wine, however, is a completely different thing. Mitch also enjoys a Coke periodically—my favorite morning beverage. 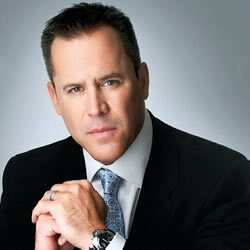 When “darn it” just won’t do, who has the bigger potty mouth, Vince Flynn or me? Answer: This one will surprise a lot of people because some readers perceive that Vince was much more prim and proper than his record would suggest. After a barrage of emails from fans who were concerned about my use of foul language, I decided to find out: Had I really made these characters a bit too salty for the average fan? It turns out I haven’t. Vince dropped the f-bomb 61 times in The Last Man, 54 times in Pursuit of Honor, and an impressive 70 times—5 times on one page alone—in Extreme Measures. By comparison, I clock in at a mere 47 in Enemy of the State and a downright austere 6 in The Survivor. Rapp excels at hand-to-hand combat. What discipline does he prefer, what level does he hold, and who did he train with? Answer: Rapp has a third-degree black belt in Gracie jiu-jitsu. He spent time in Brazil training with Helio Gracie, the grand master. Which gun did Rapp use to make his first kill? Who did he shoot, and what was the shot that terminated the villain? Answer: Rapp's first kill is with a silenced 9mm Beretta 92F when he shot Hamdi Sharif once in the hand, then once in the chest at close range. Can you name several of Mitch’s aliases over the years? What name did he and Anna travel under for their honeymoon? Answer: Mitch Kruse, Paul Girard, Bill Johnson, Carl. For their honeymoon, Mitch and Anna traveled under the names Troy and Betsy Harris. Which of Rapp’s girlfriends spent a semester abroad in Paris? Answer: Most readers think it was Maureen Elliot who died on Pan Am Flight 103. But Maureen wasn’t in Paris… Anna Rielly was the one who spent a semester abroad in Paris. And the Rappologist’s favorite stumper: When did Mitch officially join the CIA? Answer: Many will say at twenty-two, in American Assassin. But that wasn't in an official capacity. He officially joined the CIA at the dying request of Thomas Stansfield. If you’re not following Kyle, connect with him on Twitter, Facebook, Instagram, or his website.